Home » Clothes and Cosplay » Totoro Shoes » My Neighbor Totoro Shoes and Slippers! 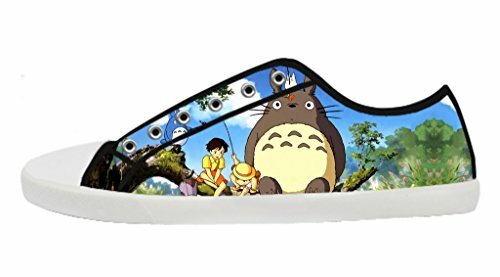 Putting on My Neighbor Totoro Shoes always makes me feel a little better. 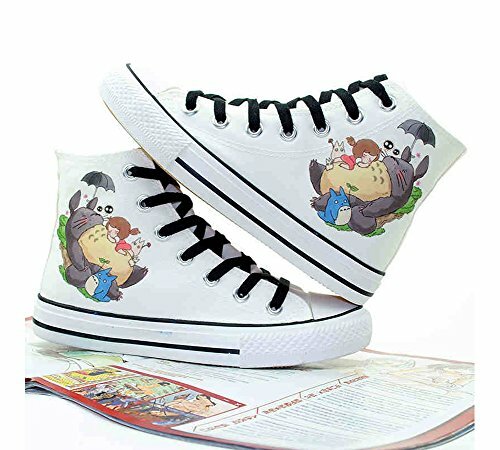 I could be dressed in serious clothes up top, but Totoro’s smiling face on my feet adds a special spring to my step. It’s all in my head, of course, but does that matter? If a simple pair of shoes can make me feel that happy, why not wear them? 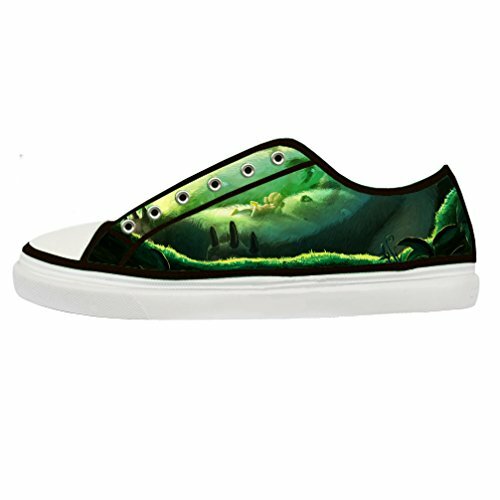 And these shoes can’t help but make you feel happy! 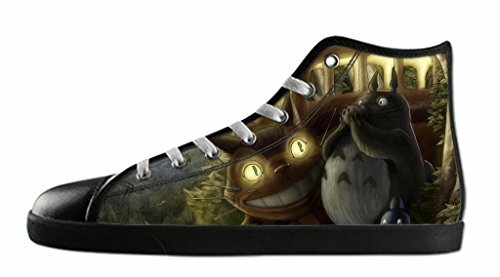 Adorable Totoro’s dance and play on your shoes. You will also find Mei and Catbus! Little Soot Sprites! 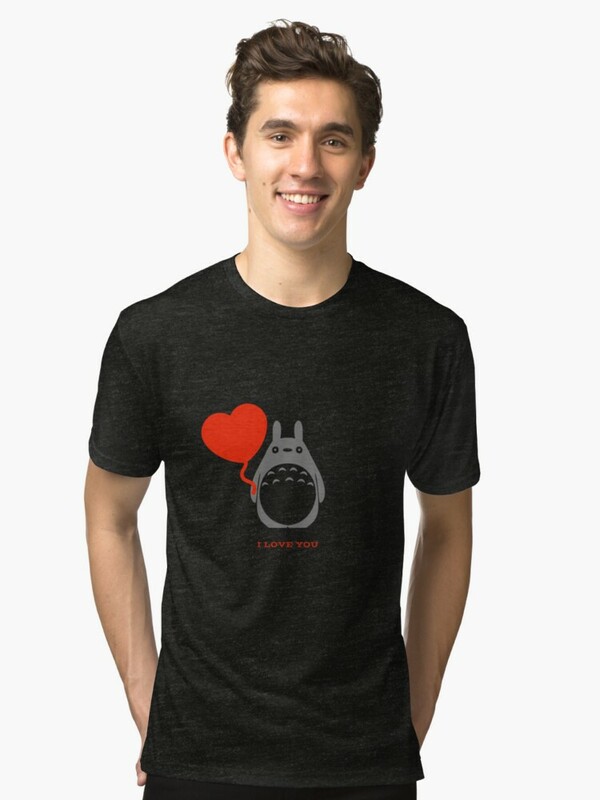 And other favorite characters from My Neighbor Totoro. 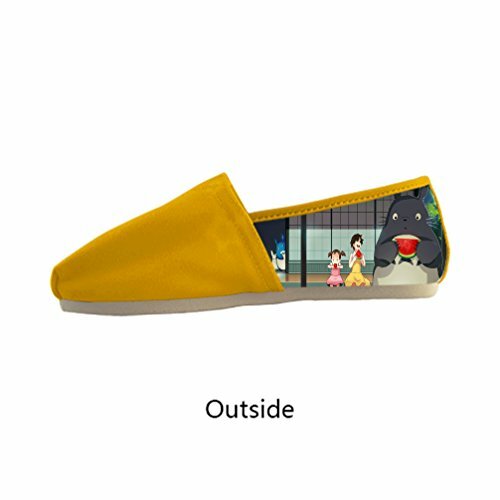 Wear them to school, shopping, or even out dancing. 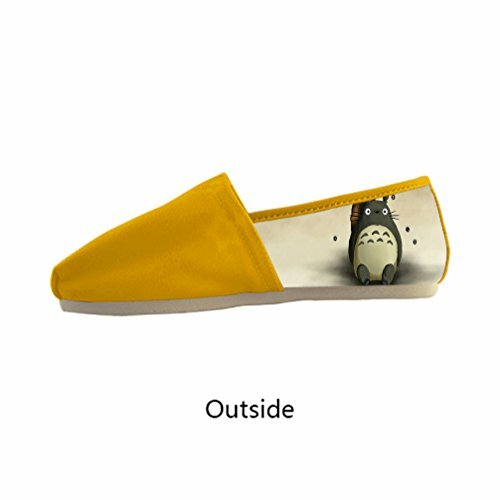 My Neighbor Totoro shoes fit in anywhere, and with any outfit. 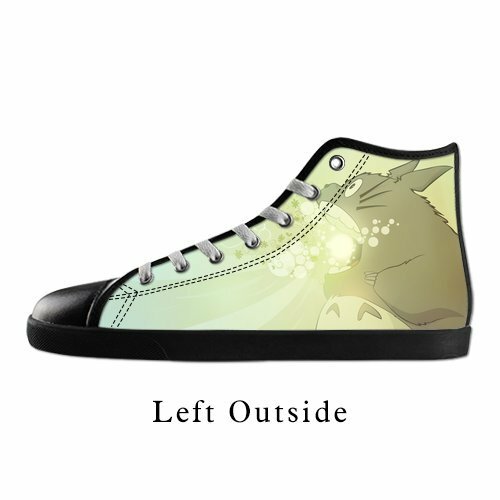 Basically, My Neighbor Totoro shoes come in three styles. My favorite is the low-top sneakers. Since I tend to wear jeans or skirts, they always fit in with my look. 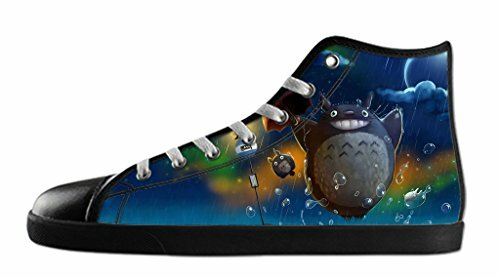 Of course, the high-top Totoro sneakers are just too cute, I got a pair for my daughter last year, and she wears them to death!. 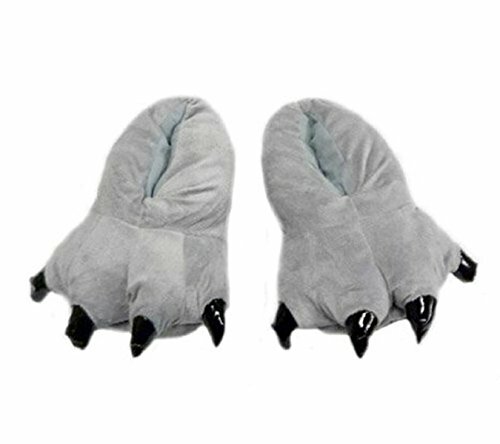 Most comfy of all are the My Neighbor Totoro slippers. We don’t wear shoes in our house (no sense in tracking the outside world all over the rug), but we all have house shoes and slippers. 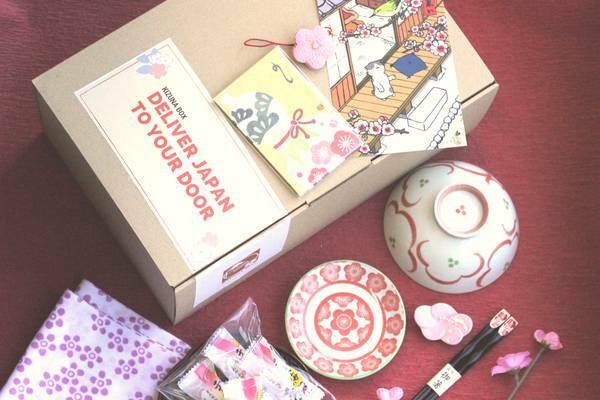 These come in a lot of different styles, and are perfect for when you are HOME! 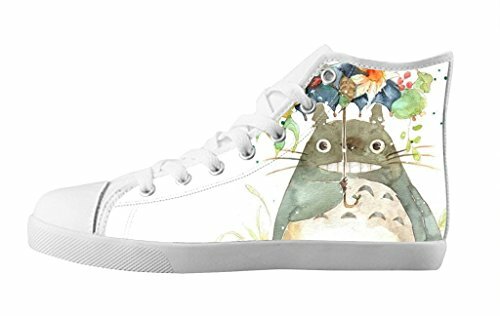 Admittedly, I’m not a fashion icon, but these adorable Totoro low-top sneakers get me loads of compliments whenever I wear them. Not only that… they are super comfortable. There is just enough padding and support in the footbed to get you through the whole day without having achy feet. (Important when you get to be a mom). 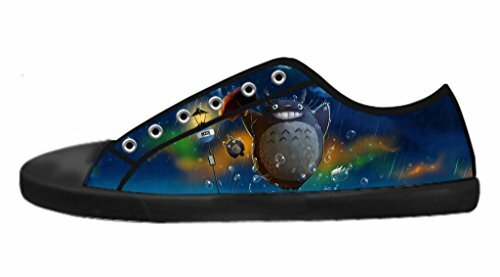 Totoro shoes come in loads of colors and styles, so you can find the one that has your favorite scene. 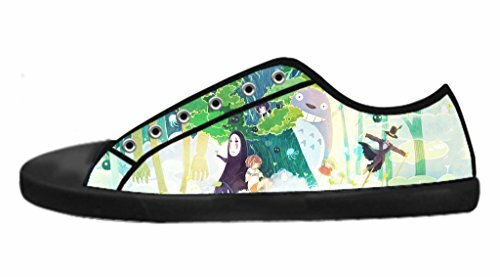 Truly, my favorites are the shoes that have a smiling Totoro on the heel, but there are wonderful images of Totoro playing his pipe or hiding in the trees. 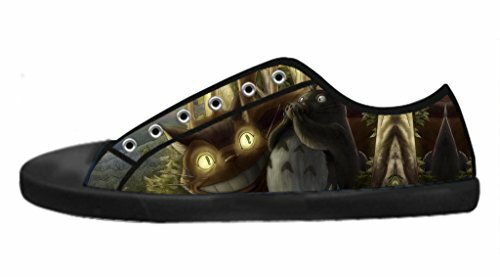 And if you are a huge fan of Catbus, take a look at those glowing eyes! I am lazy by nature, so tying my shoes is something I can’t be bothered with, which makes High-tops an issue. However, my daughter loves them! Especially with leggings and a cute skirt. 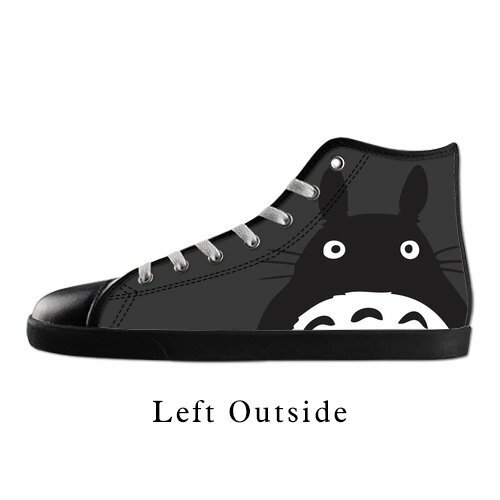 And the extra material on the shoe means that the picture of Totoro shows better. 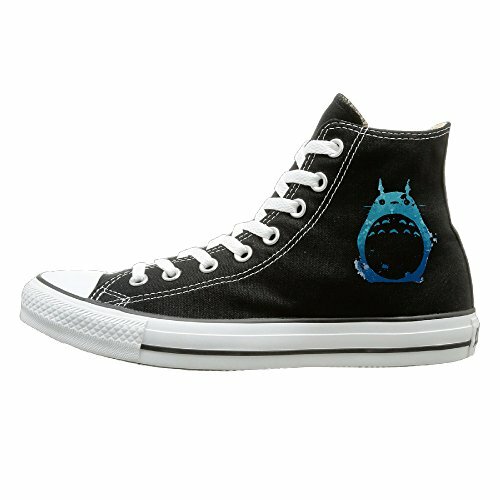 High tops My Neighbor Totoro sneakers are comfortable, with a decent footbed and arch support (don’t want to wreck your feet for fashion!). 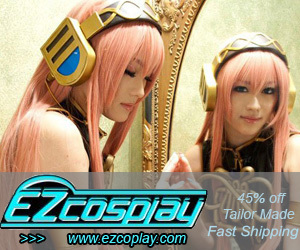 Plus they definitely will catch people’s eye! My favorite are the all black ones that look a bit like old-school Chuck Taylor’s. 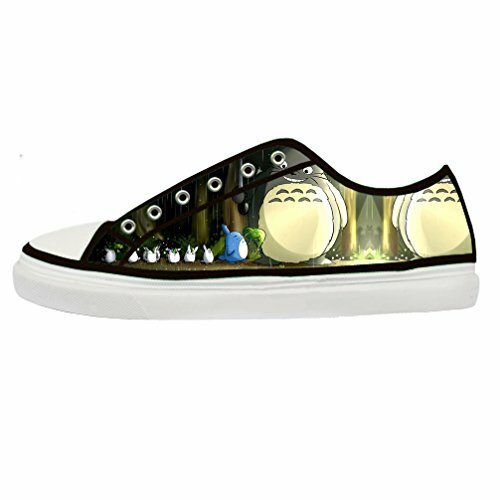 And notice that one of the pairs will even GLOW IN THE DARK!! 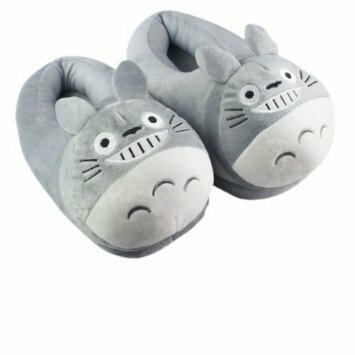 Ok, end of the day, and you walk into the house, kick off your shoes and slide into your favorite Totoro Slippers or House Shoes…BLISS!! 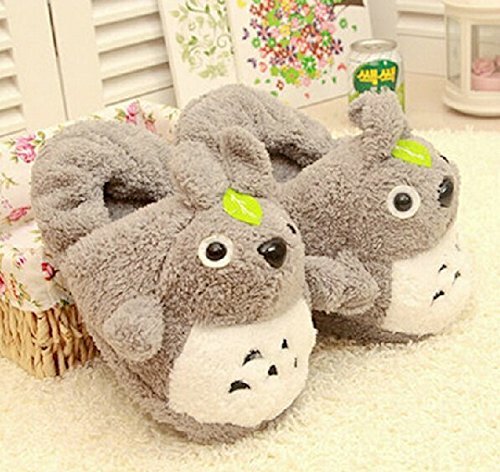 You have a choice between cushy, squishy Totoro Slippers shaped like Totoros … all furry and fuzzy to keep your feet happy, or you can go with a practical and standard Totoro House Shoe…. 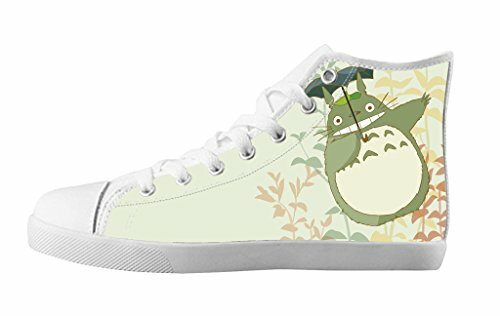 these are decorated with My Neighbor Totoro patterns, but have a rubber sole to keep your feet dry if you step in spills. 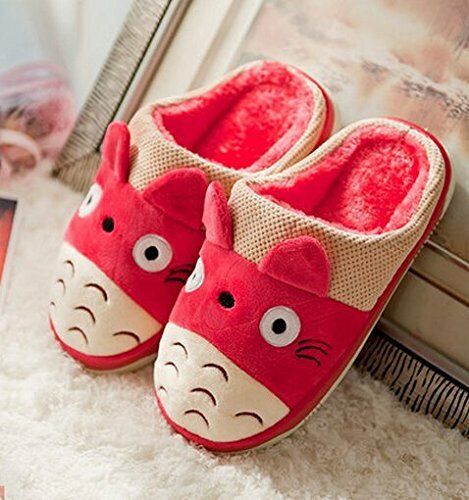 You can wear them while cooking or cleaning, and they won’t get ruined… I don’t recommend wearing furry Totoros on your feet while mopping!